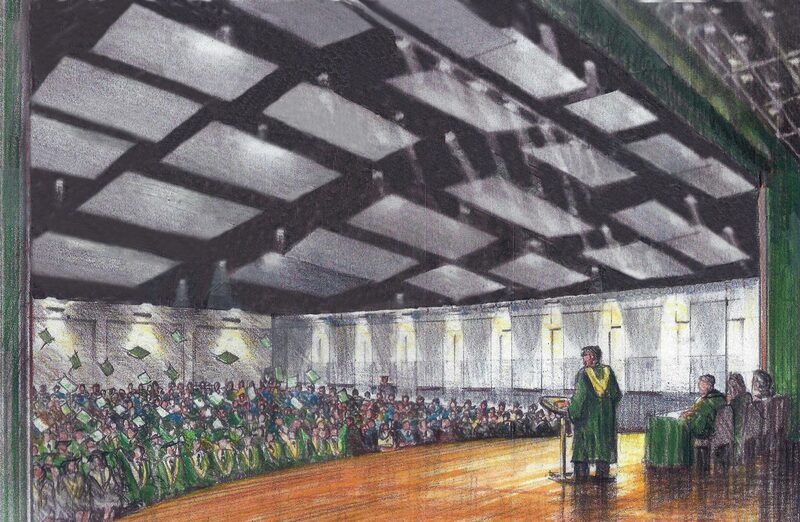 While the academic reputation of Newark Catholic High School has remained strong for the last 60 years, the building’s infrastructure and core academic areas are much the same as they were in 1958. 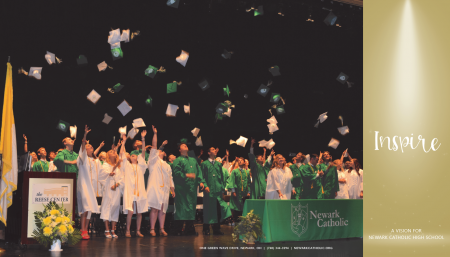 Newark Catholic High School has met the needs of the Licking-Knox Catholic community since 1958. 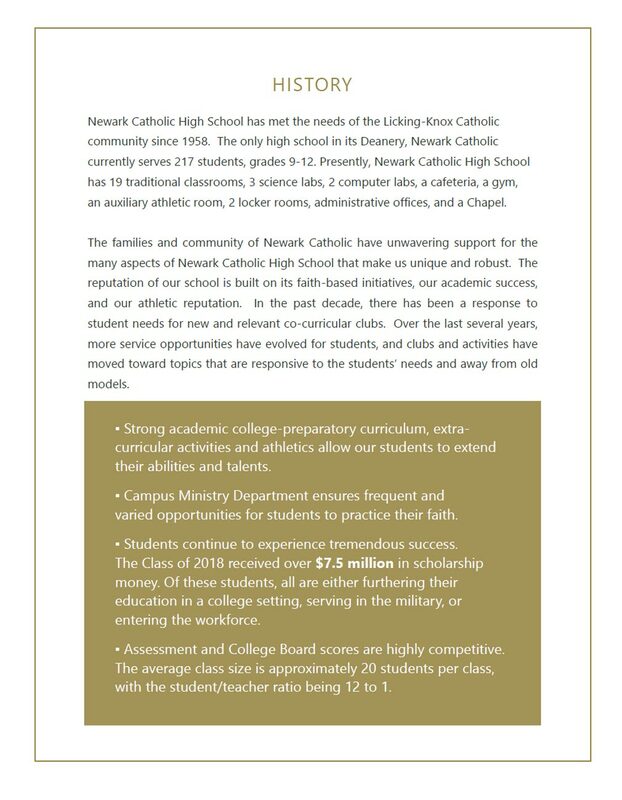 The families and community of Newark Catholic have unwavering support for the many aspects that make us unique and robust. 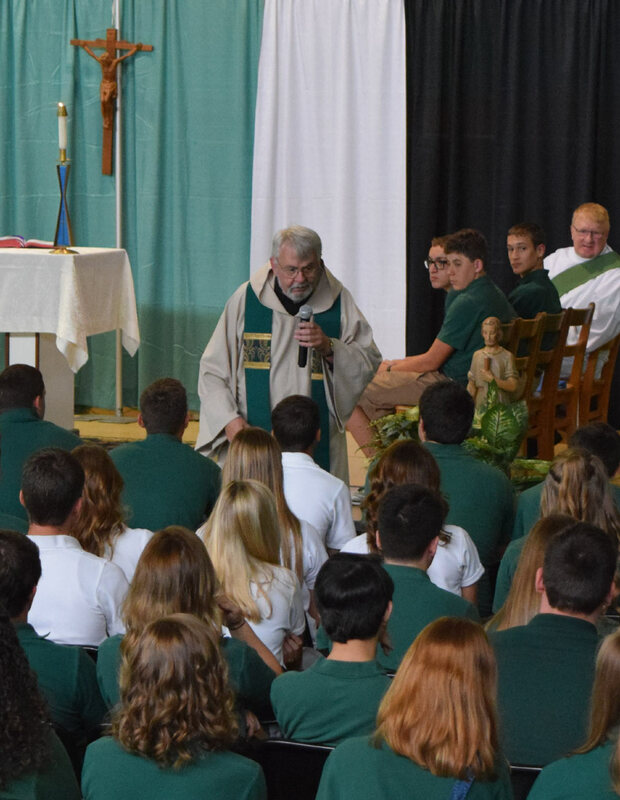 The reputation of our school is built on its faith-based initiatives, our academic success and our athletic reputation. The INSPIRE Campaign will complete our vision for the future by improving the overall learning environment, our long-term financial stability and the appearance and functionality of the campus that promotes our Catholic identity. In order to continue serving the needs of current students, and attract new students in the future, an expansion of our campus is necessary. 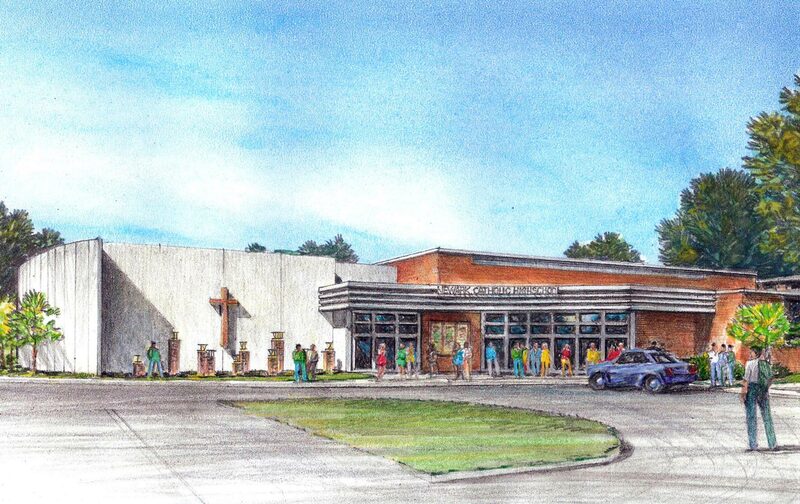 In February of 2018, we conducted a planning study to measure the level of support for our proposed project. The positive response to the study indicates strong support for a fundraising campaign that will focus on a major enhancement to our Performing Arts and Innovation. 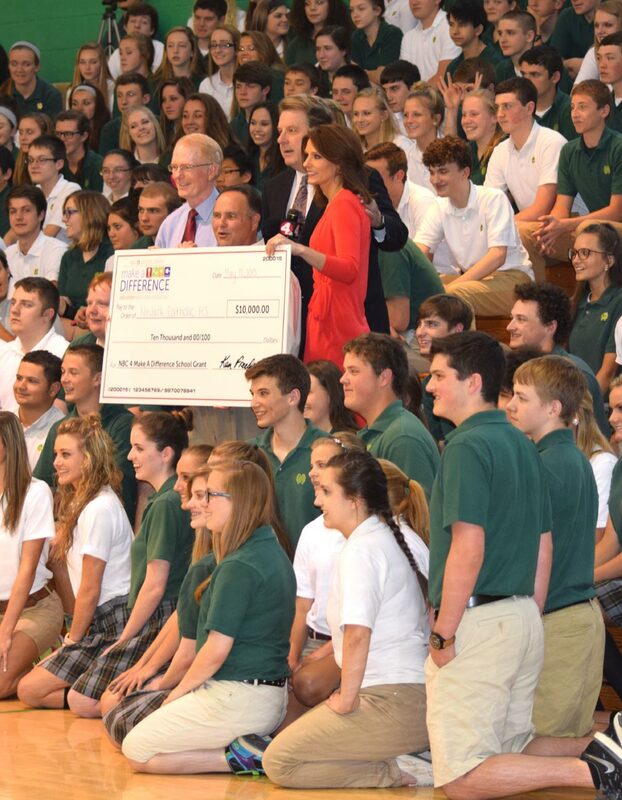 As a result, we are beginning INSPIRE — a $2.6+ million campaign. 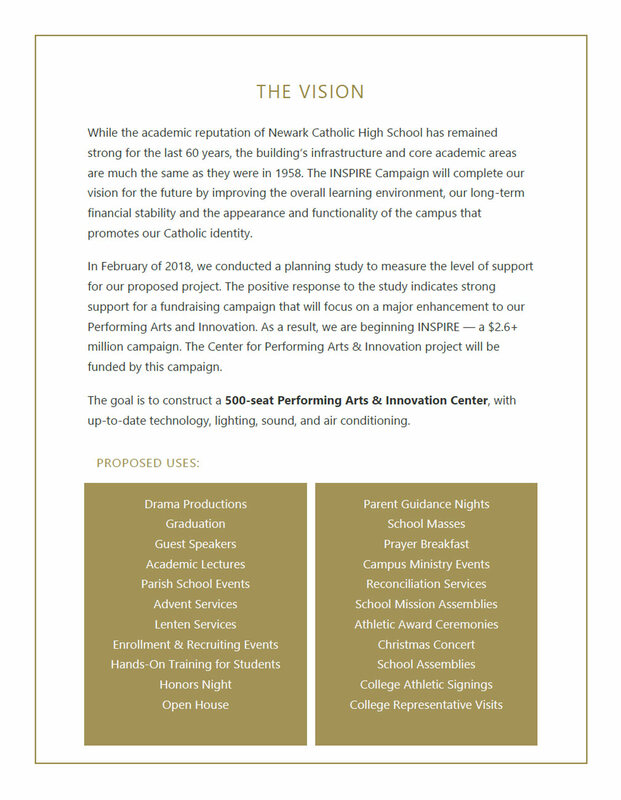 The Center for Performing Arts & Innovation project will be funded by this campaign. 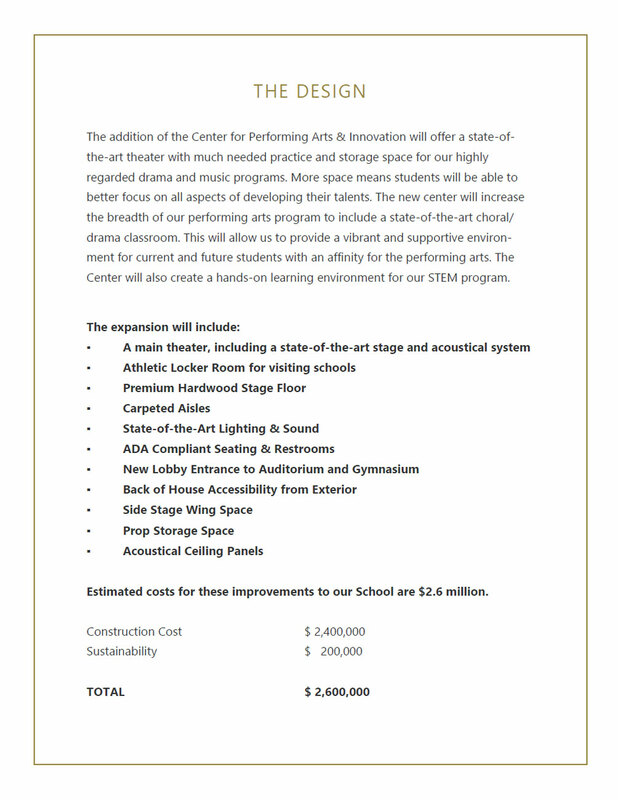 The goal is to construct a 500-seat Performing Arts & Innovation Center, with up-to-date technology, lighting, sound, and air conditioning. The Performing Arts at Newark Catholic has been part of Newark Catholic since 1958. 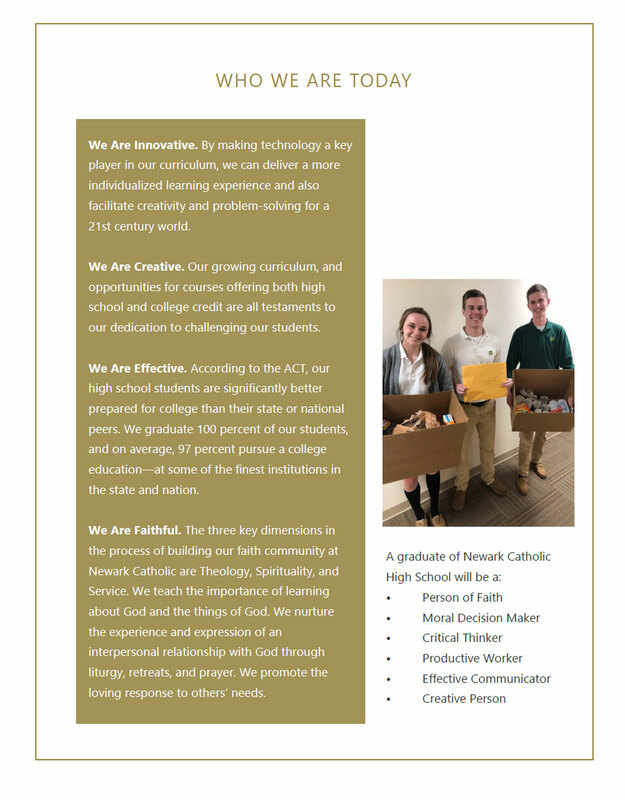 Given the opportunity to explore their God-given gifts and talents, students are expanding their interests. 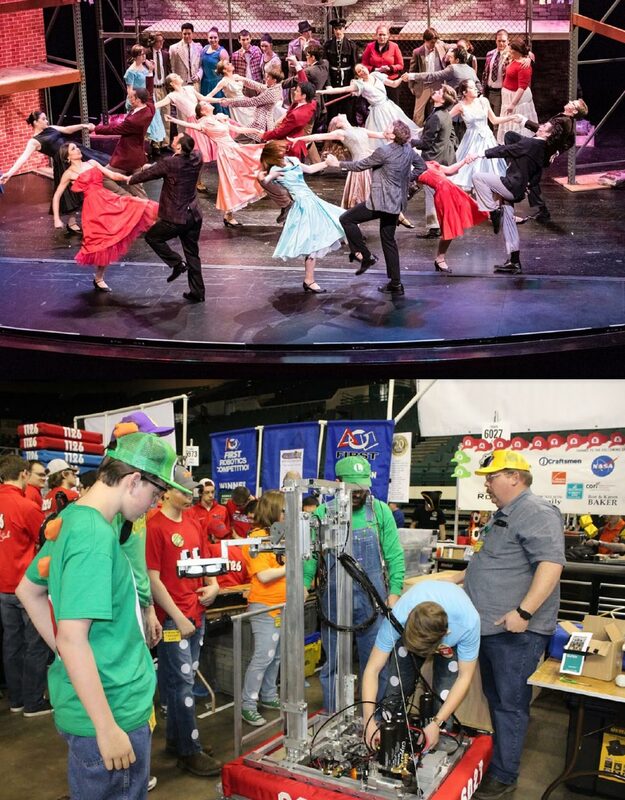 The result of this is evident by students who are comfortable playing football while dancing in the winter musical, or participating in our annual Arts Festival while competing with the Robotics Club. 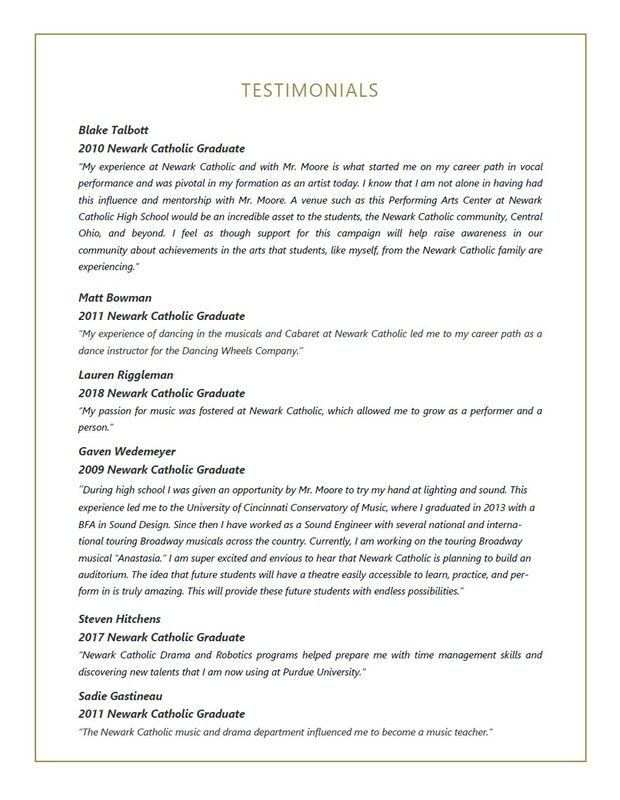 The increase in the performing arts has been overwhelming, with nearly 25% of our student body having a role on the stage or behind the scenes at our last performance. 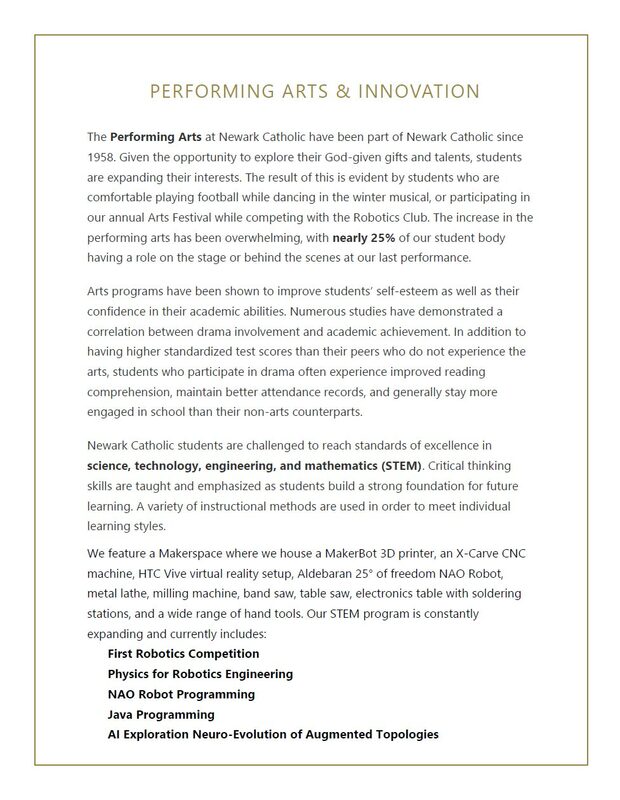 Newark Catholic students are challenged to reach standards of excellence in science, technology, engineering, and mathematics (STEM). Critical thinking skills are taught and emphasized as students build a strong foundation for future learning. A variety of instructional methods are used in order to meet individual learning styles. 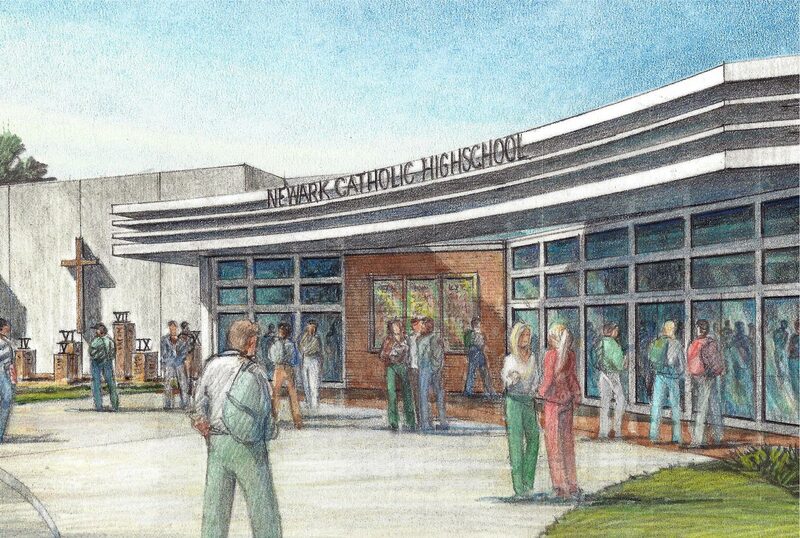 INSPIRE is Newark Catholic High School’s $2.6 million capital campaign that will provide a 500-seat auditorium with up-to-date technology, lighting, sound and air conditioning, a new lobby entrance to the building, new ADA compliant bathroom accessible from the lobby, storage space and a visitor locker room. 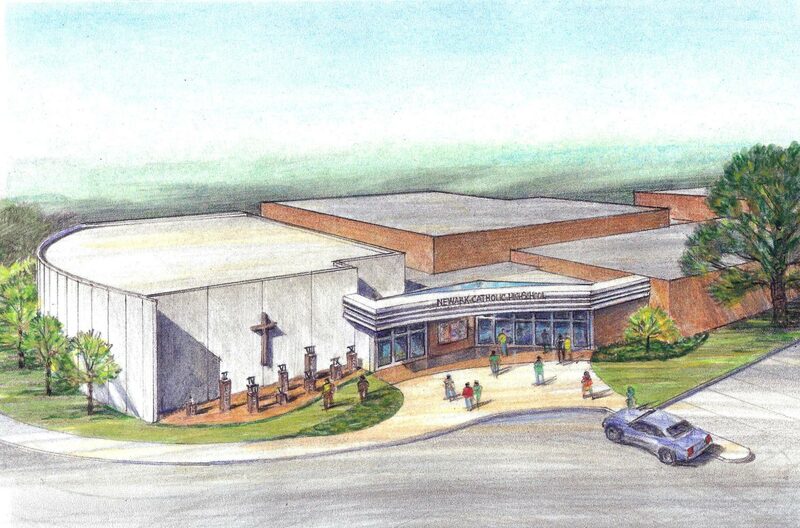 The expansion will allow ample and appropriate space for school Masses and other faith-based gatherings, school assemblies, guest speakers, honors events, athletic ceremonies, and many other activities. 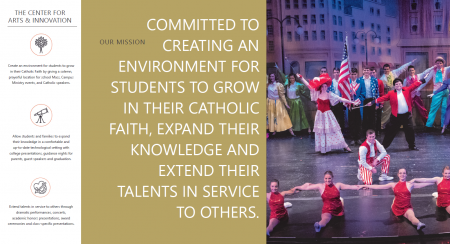 It will provide a space for students with interest in performing arts to better focus on all aspects of developing their talents, as well as create a hands-on learning environment for the school’s STEM and robotics programs. 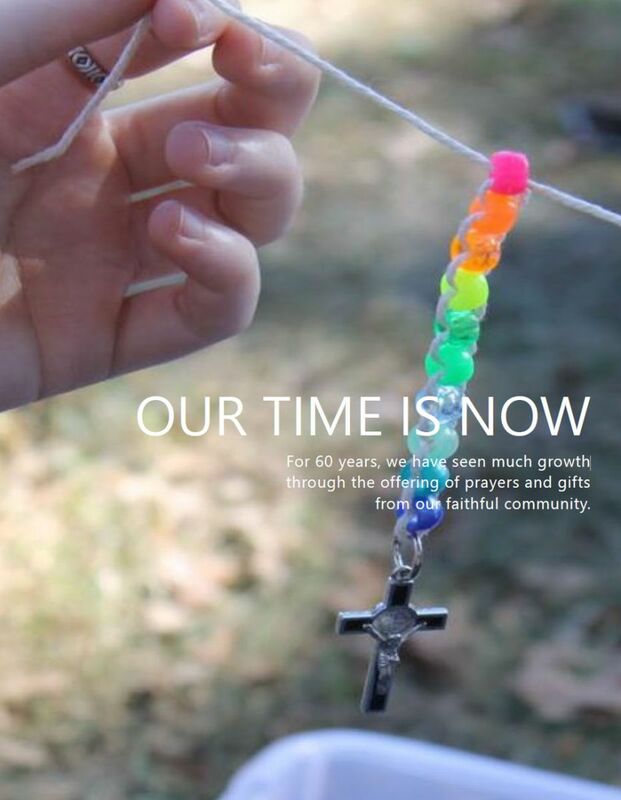 Make a convenient and secure online donation through The Catholic Foundation of the Columbus Diocese. 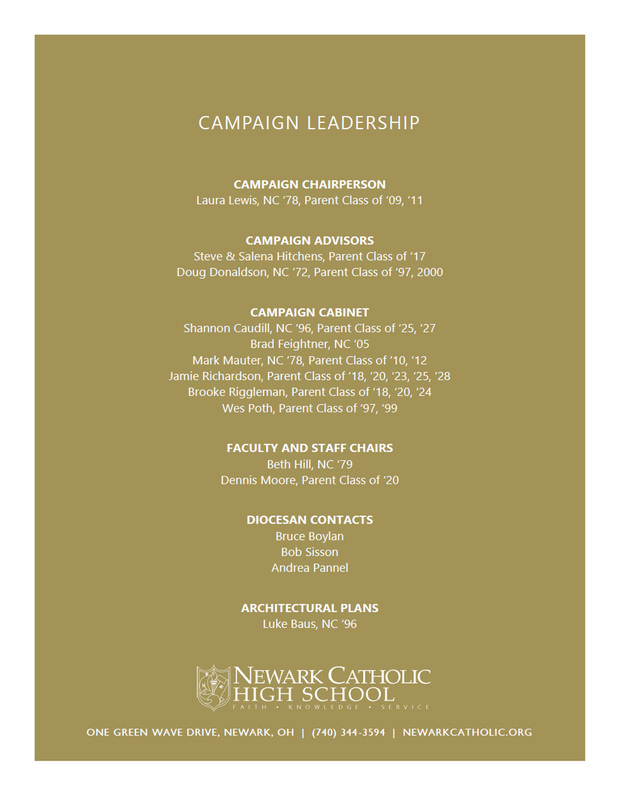 View the highlights of our Campaign brochure and see the vision, the design, our Newark Catholic history and future, the many benefits to our students, what Newark Catholic graduates are saying, and much more. Click on the image to get started. they labour in vain who build it. to build something great for Your glory. entrust You in all our efforts. Learn about Sponsor opportunities and other ways to donate by downloading our PLEDGE FORM. 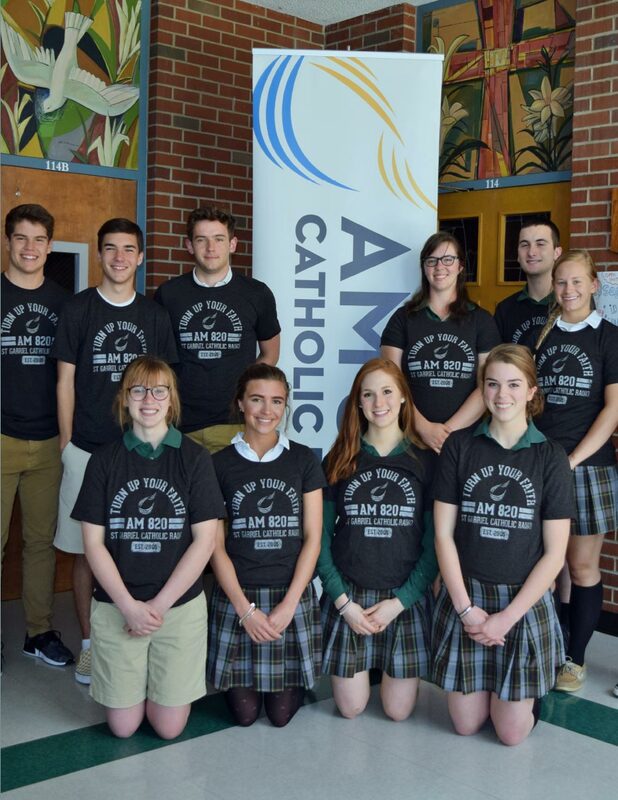 We are proud to partner with The Catholic Foundation for the tracking and accounting of all donations and pledges free of charge.